Stair tower & main entry. Visitor parking and main entry. Visitor parking and Municipal Court wing. 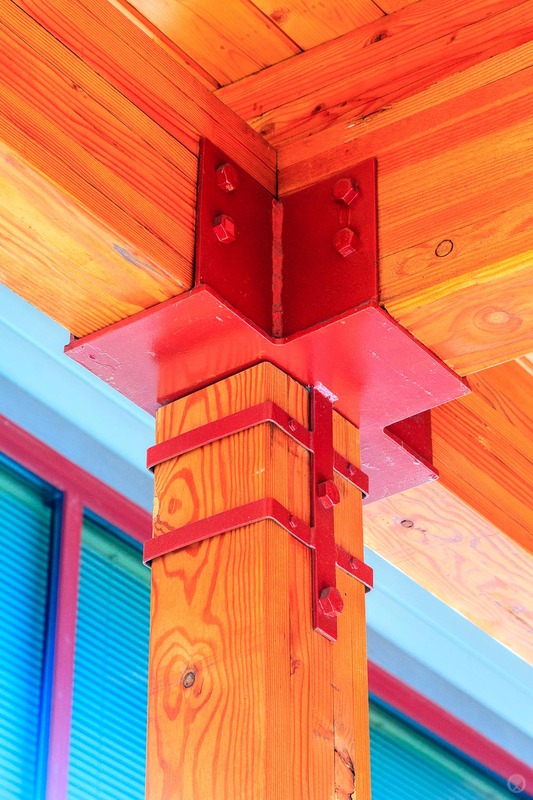 Exterior detailing at Municipal Court. Bike shelter post base detail. 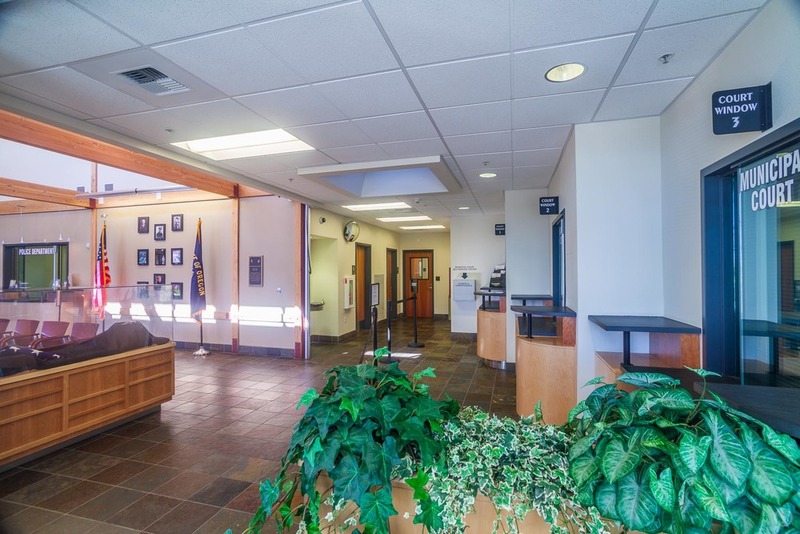 Municipal Court / Community Room / E.O.C. Completed while employed with hsr masterplanning architecture interiors. 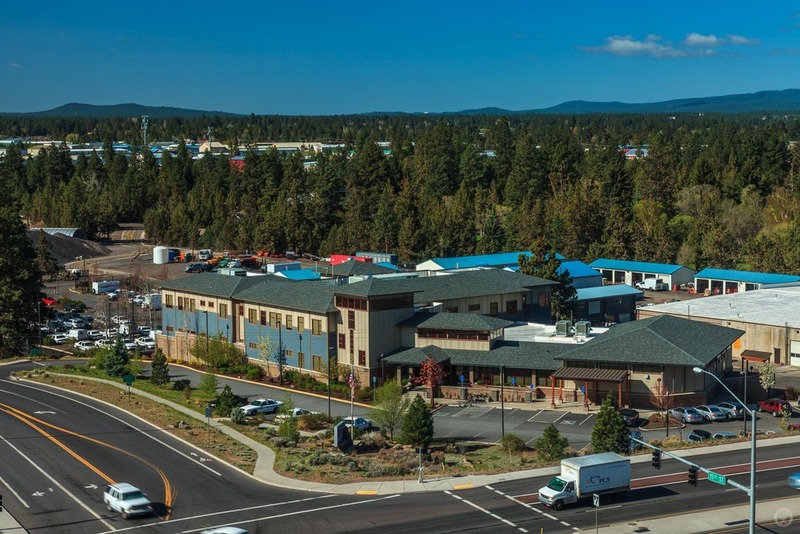 In 2001, hsr masterplanning architecture interiors designed a new Station for the City of Bend Police Department. Because of limited funds available at the time, this station was designed as the first phase of a multi-phased plan for future expansion. In 2006, the Police Dept. was ready to proceed with Phase II. The original Phase I station was approximately 21,137 s.f. in size. Phase II increased this to a total of 36,669 s.f. A new three-story south wing was added that enlarged the secure evidence area as well as increased the overall area for patrol officers. The original single-story sally port had two more floors added above it, which contain a larger break room and detective offices. To the north, a Municipal Courtroom was added. 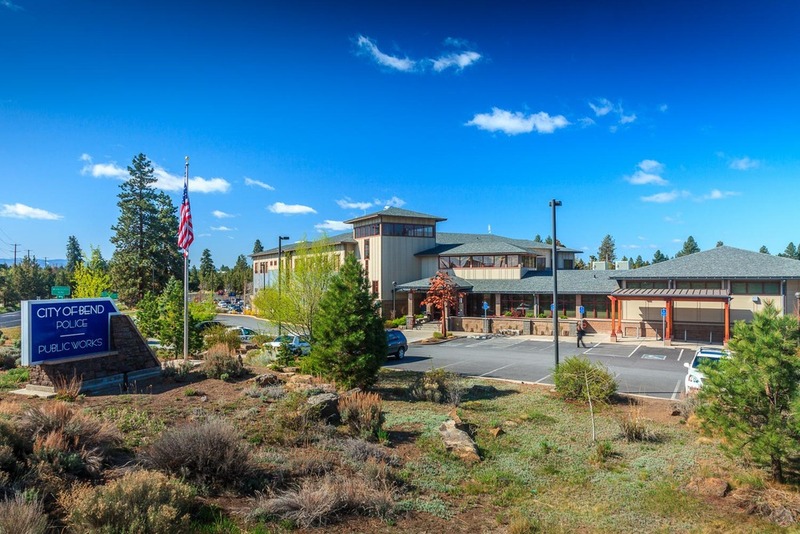 This wing can operate independently from the rest of the building and serve as a community meeting hall as well as a fully equipped Emergency Operations Center (E.O.C.). 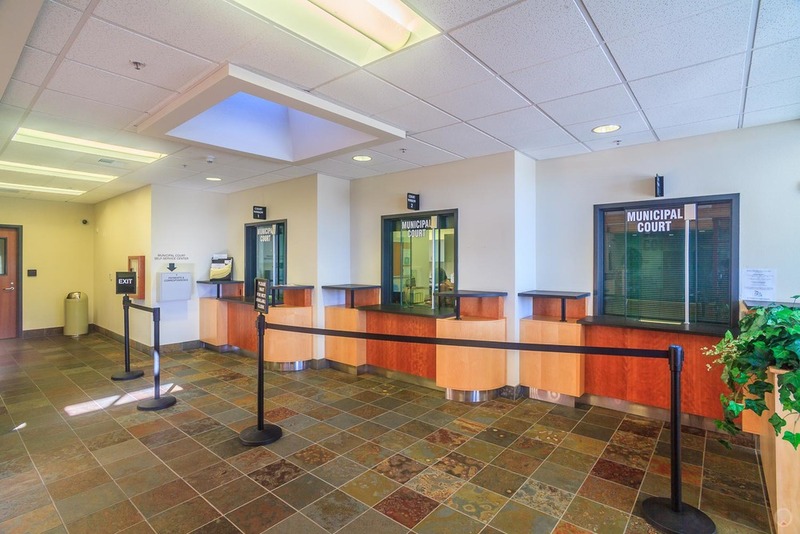 Cosmetic changes throughout the Phase I and II areas included new carpet, casework, lighting, and exterior paint.